In the past several issues of Soldier Modernisation we have covered Raytheon ELCAN’s Specter™ sighting systems, tracking the use, upgrades and new offerings of this award winning platform. 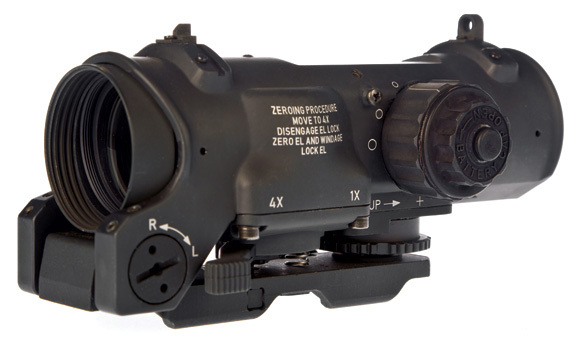 US Special Forces have been using the SpecterDR™ dual role rifle sight, a high performance switchable 1x- 4x dual-field-of-view (DFOV) combat optic, since it met 100% of the SOPMOD production requirements in 2003. 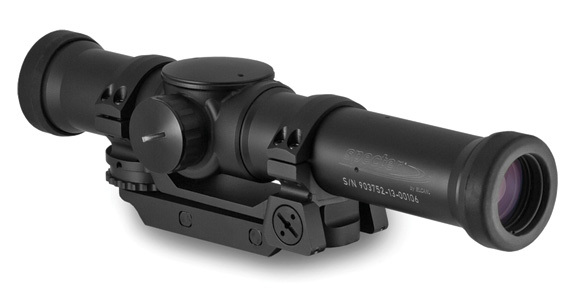 In 2011, the SpecterDR™ was named “Optic of the Year” by the National Rifle Association. 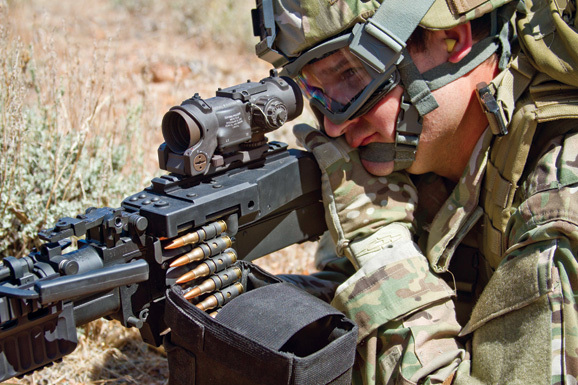 Today, the SpecterDR™ Dual Field of View family of sights are fielded worldwide and have proven their capacity to maximize warfighter efficiency and lethality. You can watch a video of MAC’s complete field review of the SpecterDRTM along with his tests and reviews of other military small arms and accessories at The Military Arms Channel Blog. Raytheon ELCAN Optical Technologies specializes in the design and manufacture of technologically sophisticated and superior quality opto-mechatronic systems and subassemblies that meet strict military and commercial specifications. Raytheon ELCAN offers superior design and engineering capabilities, proprietary production technologies and fully integrated manufacturing capabilities to provide custom, turn-key solutions. ELCAN continues to innovate with the latest in the Spectertm family of combat sights, the The SpecterTR™ 1-3-9x and the The SpecterOZ™ 5x-20x. 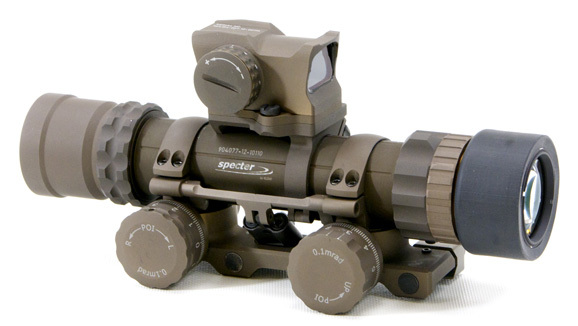 Revealed at the SHOT show in 2014, The SpecterTR™ 1-3-9x Tri-FOV Military Combat Weapon Sight is the world’s first three field-of-view optical weapon sight; available in both 5.56 and 7.62 configurations. The unique three field-of-view design maximizes combat effectiveness by providing precision close quarter, mid-range, and long range engagement capability. The SpecterTR™ rifle sight’s durability, versatility, and extra-long eye relief provides the user with an unmatched advantage on the battlefield.